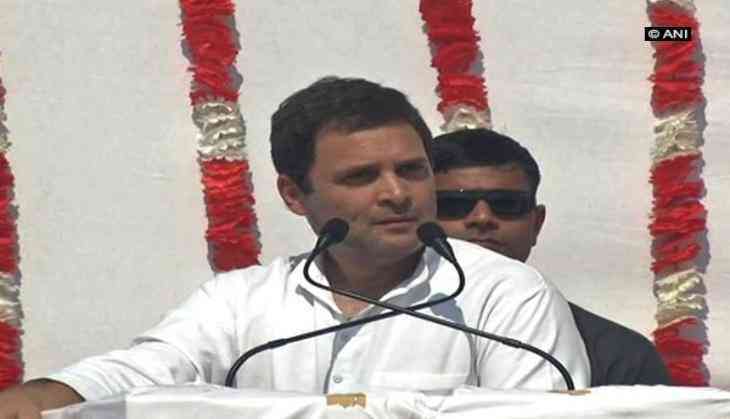 Congress vice-president Rahul Gandhi on 24 November said his party would set up a separate ministry for fisheries if it came to power in Gujarat. Addressing the fishermen community in Porbandar, Rahul said, "There should be a separate ministry for fisheries in Gujarat. And if the Congress comes to power in Gujarat, we will do this." He further assured the fishermen community of providing all sort of help. The Congress scion also cornered Prime Minister Narendra Modi over the demonetisation saying the note ban was a ploy to convert the black money into white. He further said that Gujarat did not belong to only five or ten big industrialists, but also to the farmers, labourers and small-scale businessmen. "In the last few years, all of the work in Gujarat has been done for just five to ten industrialists. And those industrialists contributed to campaigning for PM Modi later on," he added. "But the most important fact is that Gujarat does not belong to five or ten industrialists. It belongs to the farmers and fishermen," he said. Taking a jibe at Prime Minister Modi's monthly radio address 'Mann Ki Baat', Rahul said, "The Congress and I do not want to tell you our 'Mann Ki Baat'. We want to hear your 'Mann Ki Baat'." The Congress vice-president also slammed Prime Minister Modi saying he gave Rs 33,000 crore for Tata Nano factories. "The Congress had given Rs 33,000 crore for NREGA. PM Modi gave the same amount for Tata Nano. You lost your land, water, electricity for Tata Nano. And now, you are telling me that you did not see Tata Nano anywhere," he said. He added, "The truth is that if a big industrialist asks for money from PM Modi, he is ready to give Rs 33,000 crore to that one person. But if any fisherman approaches him, they will not even get Rs 300 crore," he said. Here is why Zaheer Khan and Sagarika Ghatge preponed their wedding! READ NEXT >> Here is why Zaheer Khan and Sagarika Ghatge preponed their wedding!